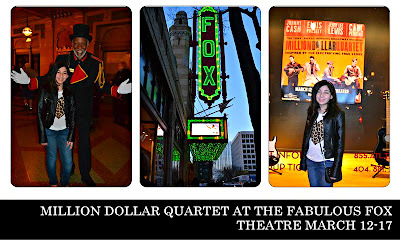 Million Dollar Quartet at the Fox Theatre transports you for 90 minutes to 1956, an era were genres like African American blues, jump blues, country, jazz, and gospel music fused to produce one of the most important music genres of all times, rock 'n' roll. "Million Dollar Quartet" is the name given to recordings made on Tuesday December 4, 1956 in the Sun Record Studios in Memphis, Tennessee. The recordings were of an impromptu jam session among Elvis Presley, Jerry Lee Lewis, Carl Perkins, and Johnny Cash". The beauty about Million Dollar Quartet is that all the actors do their own singing and instrument playing. It feels like you are in a live rock 'n' roll concert were the crowd breaks out in frenzy, screaming, whistling and shouting. 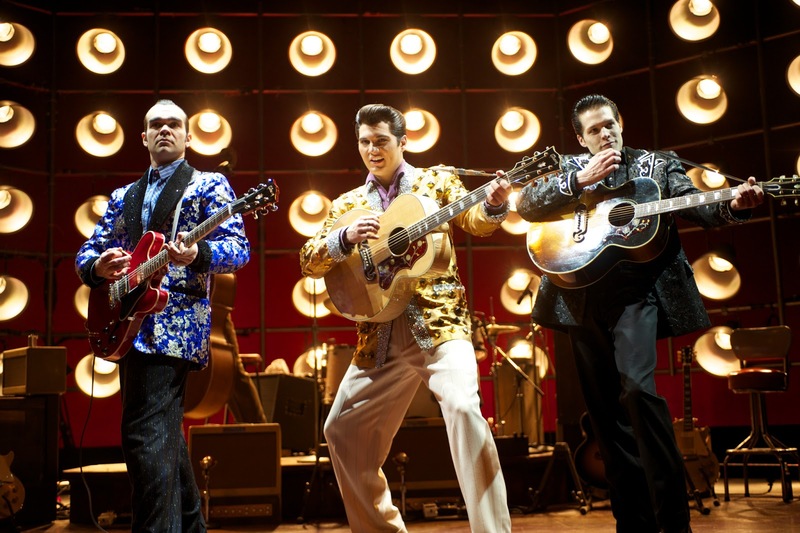 In a way, Million Dollar Quartet makes you feel nostalgic of the end of an illustrious era, filled with rebellion, harmony-filled songs, and musical supremacy. 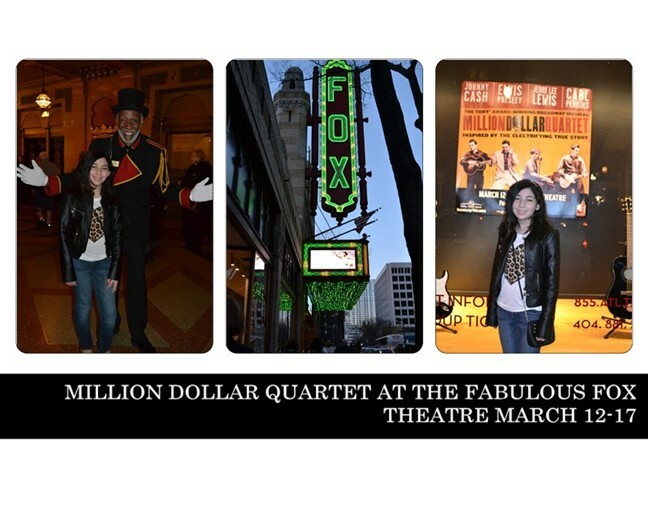 Million Dollar Quartet is highly entertaining and gives you a chance to relive an historic moment in music history. MILLION DOLLAR QUARTET won a Tony Award® for Best Performance by a Featured Actor in a Musical and received a Tony Award® nomination for Best Musical and Best Book of a Musical (Colin Escott & Floyd Mutrux). The show received an Outer Critics Circle Award for Outstanding Featured Actor in a Musical, a Drama Desk nomination for Outstanding Musical Revue and three Drama League nominations including Distinguished Production of a Musical and Distinguished Performance. MILLION DOLLAR QUARTET is produced by Relevant Theatricals, John Cossette Productions, American Pop Anthology and Broadway Across America. 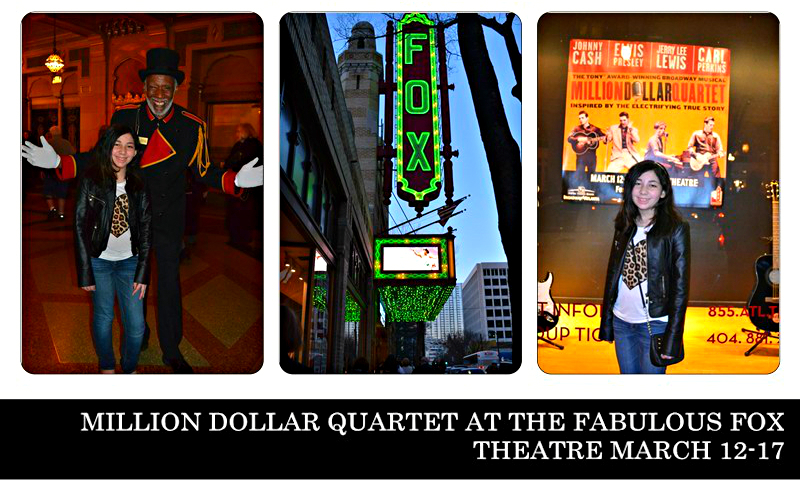 MILLION DOLLAR QUARTET will play March 12-17 at the Fox Theatre. Performances are Tuesday through Saturday at 8 p.m. and Sunday at 6:30 p.m. with matinees Saturday at 2 p.m. and Sunday at 1 p.m.